Vision plays an integral role in every aspect of our lives, affecting perception, cognition, learning and everyday activities. As vision is our dominant sense, our brain receives about 80 percent of the sensory information from our eyes. With the rapidly ageing population in Singapore, cataract is fast becoming a major health concern. Cataract causes visual impairment and is associated with increased risks of falls, hip fractures, road traffic accidents, depression and even early death from related problems. Patients suffering from these ailments can now be reassured that advances in medical technology have led to improved treatment outcomes compared to the past. What is The ZEISS CALLISTO eye® ? It is a major advancement in technology that makes cataract surgery and intraocular lens implantation easier, more precise and faster. It has “assistance” functions projected directly into the eyepiece of the ZEISS OPMI LUMERA surgical microscope, thus providing improved ergonomics for the surgeon without distraction from the surgical field. ZEISS CALLISTO eye® also has automated eye tracking to ensure that the superimposed assistance functions are properly positioned on the operated eye. 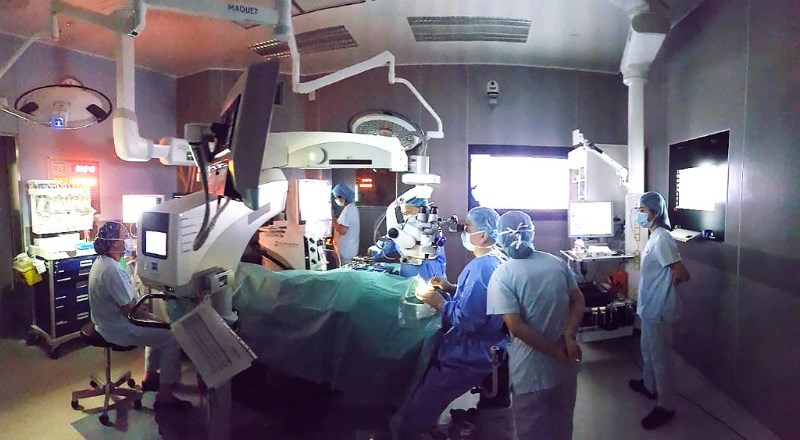 The first computer-assisted cataract surgery with ZEISS CALLISTO eye® in private practice in Singapore took place on 4 March 2015 in Farrer Park Hospital. 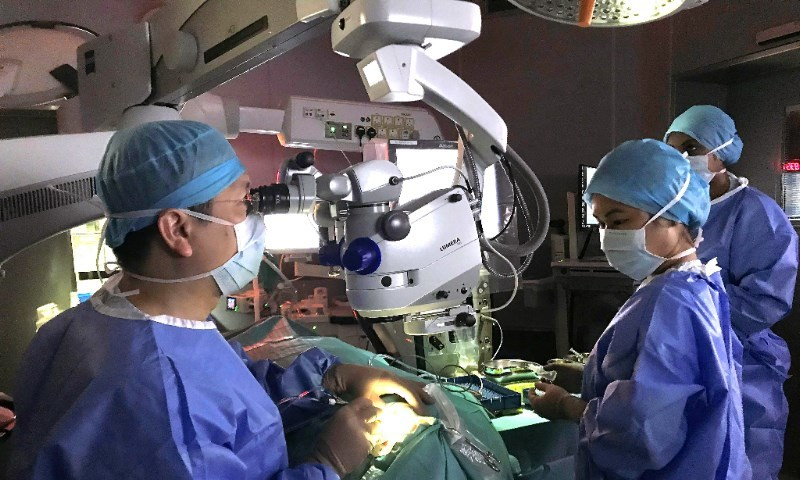 The operation, which involved the implantation of a toric intraocular lens to correct corneal astigmatism, was performed by Dr Au Eong Kah Guan, Medical Director and Senior Consultant Ophthalmologist from International Eye Cataract Retina Centre in Farrer Park Medical Centre. The second operation was performed on the fellow eye of the same patient one week later on 11 March 2015. 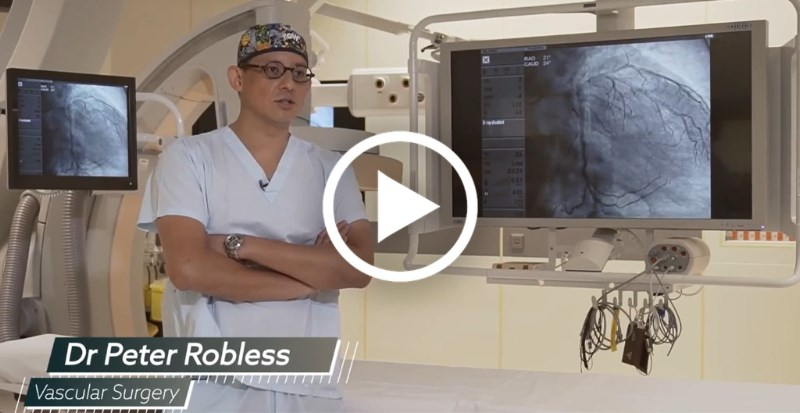 Dr Au Eong Kah Guan performing computer-assisted cataract surgery with ZEISS CALLISTO eye® in Farrer Park Hospital. Previously, to implant a toric intraocular lens, surgeons were required to manually mark the cornea using a marker pen while the patient is seated up prior to surgery. This process was cumbersome, time-consuming and not very precise. Now, while measuring the power of the intraocular lens to be implanted with the IOLMaster in the clinic, an image of the eye is also captured. Then, with the patient lying on the surgical bed, the scleral vessels on the operated eye are then matched with those from the previously captured image. This establishes the reference axis of the eye accurately so that special intraocular lenses such as toric lenses can be aligned more precisely or other surgical manoeuvres (eg, limbal relaxing incision) can be carried out more accurately, leading to better postoperative outcome and vision. The Farrer Park Hospital's Day Surgery Suite (DSS) where computer-assisted cataract surgery is commonly performed. 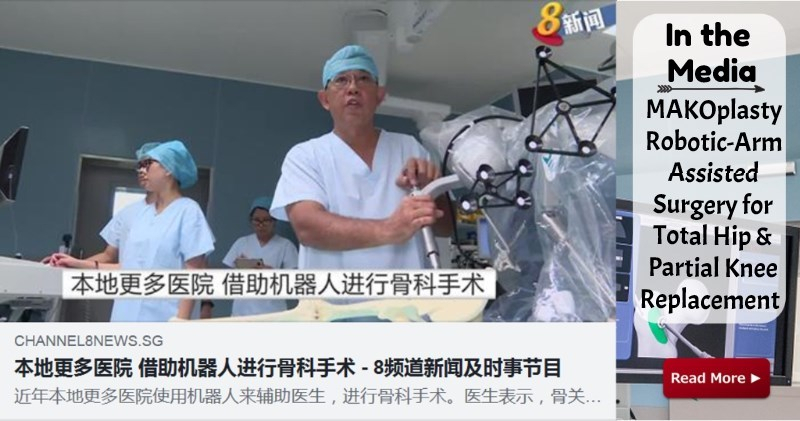 With cataract and the condition of hypermetropia, Mr Edwin Gan could not read without wearing glasses and faced difficulties determining the road distance ahead when driving. “I had both my eyes done for cataract surgery in the span of two months. Completed within a few minutes, the procedure was quick, painless and hassle-free. My recovery was almost immediate and I could continue my daily routine with good vision,” shared Mr Gan. Natalie a dental hygienist and her friend Cindy a corporate trainer are travel buddies from Belgium who love to explore far flung exotic places. Every year, they take turns to pick an exotic location to visit. This year, Natalie chose Indonesia, specifically Bali and Lombok. They decided to treat themselves to a luxury villa stay and have just arrived in their beachside bungalow in Gili after a week-long jungle trekking in Bali. Upon arriving at their luxury villa at Gili, they felt a strong tremor. They were admiring the open air bathroom when the concrete facade fell towards them. Cindy’s leg was badly scratched but it was Natalie who suffered the brunt of the collapse. She was crushed under the full weight of the concrete. Looking back, Cindy still wonders where her strength came from, but she managed to help her friend out from under the rubble. “Natalie was barely conscious but managed to free herself when I lifted the concrete. I was very worried because she looked badly hurt”. Using a sunbed as a gurney, Cindy located other tourists to care for her friend as she sought to find medical help for Natalie. She grabbed the nearest bicycle and cycled to look for medical aid, guided only by the moonlight. In the darkness, her bicycle suddenly hit a bump and she fell over. She turned on the light from her mobile phone and realized she actually had tripped over a dead body. At that moment, the reality of her situation hit her. She was lost, with no phone connection nor wifi. She was absolutely alone, lost and surrounded by rubble and dead bodies. It was a very long and chilly night sitting out in the open field waiting for the daylight. Once light came, Cindy got help and made the track to find Natalie. Along the way, they rescued more tourists and once they reached the resort, she realized that Natalie was carried on the sunbed all the way to a hill top relief centre. Reunited, the friends were placed on the first few boats out of Gili to Lombok where they could get medical help. They were given priority as Natalie was badly injured. Upon landing in Lombok, Cindy, at the first opportunity, made a call to Natalie’s family to check on Natalie’s travel insurance. Barely conscious, without any of their belongings and intermittent wifi connection, Natalie could not help with insurance details. It was chaotic at Lombok, the hospital was overflowing with the injured. A large tentage was set up outside and Natalie was placed next to other badly injured people. Some missing limbs and gashing wounds. As she was deemed less serious, Natalie spent the night under the tent while the more serious were tended to. When at last it was her turn to receive treatment, an aftershock hit the hospital and everyone was evacuated from the hospital building. Natalie spent her second night out in the open wondering when the ordeal would end. This is where the Medivac team located Natalie. The FPH Jakarta Team coordinating the Medivac Cases from Indonesia. Anthony Teng, FPH Corporate Relations Marketing Manager, who was attending a training course, received a call from our Indonesian office. He was told that a medivac team had a patient to be airlifted to FPH and to confirm if we could receive the case. Anthony had a very short window to work through multiple stakeholders. From our business office, to visa requirement, our clinical team and specialist, he must ensure the administrative details are in order and the clinical requirements can be met. Anthony had just a few hours to confirm, from the time the medivac team picked up Natalie and before the plane takes off from the airport. 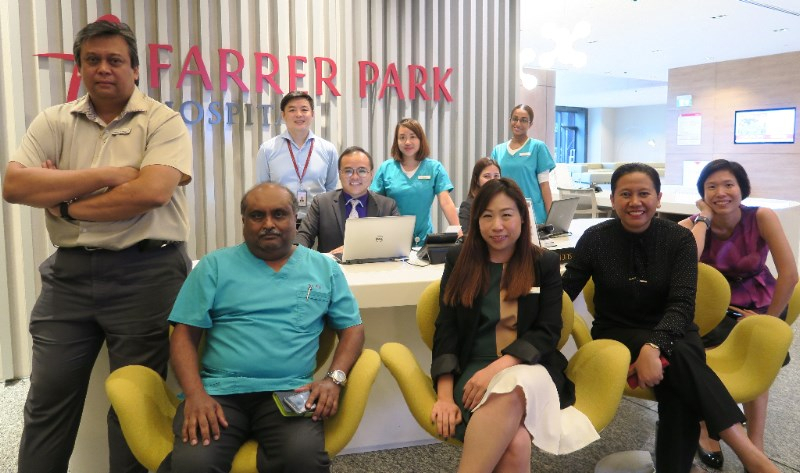 It was the National Day week and as Singapore and Singaporeans prepared to celebrate their 53rd birthday, FPH ICU head Nurse Badli Shah was busy planning manpower and staffing for the celebratory weekend. 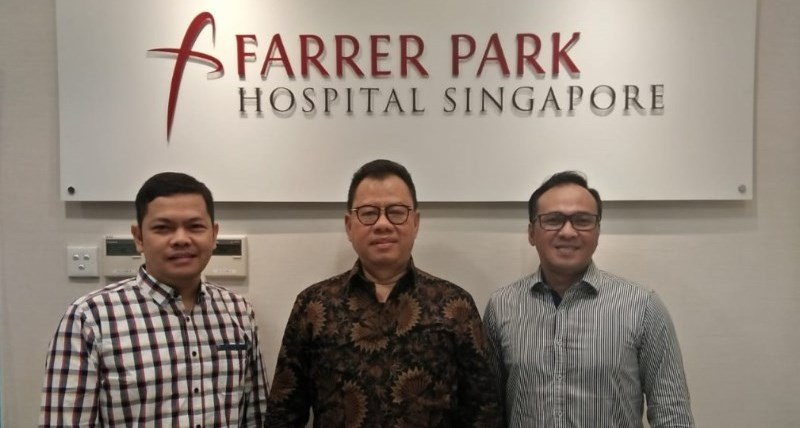 Coincidentally, it was one of the busiest weeks at Farrer Park Hospital’s ICU where the ICU beds were almost fully occupied. “We just heard about the Lombok earthquake in the news. With every major event happening, whether it is potential infectious outbreak or major disaster, we always anticipate how these things affect the Hospital.” As the hospital is near capacity, Badli planned for senior staff nurses to be on the ground. It was at this time that Badli received a call from Anthony, who needed to confirm we had the capacity. He co-ordinated with us to ensure we had everything ready when the patient arrived. “Very often, we don’t have complete information. Most of the time, the situation on the ground during such crisis is very chaotic. A lot of details are not 100%. In this case, the medivac team told us what they could about Natalie’s condition. Fortunately, this was very accurate. Our equipment, facility and specialist were all on standby for Natalie’s arrival. ” Explained Badli. The FPH Team back in Singapore from various departments play an important role behind the scene in handling the Medivac case efficiently and effectively. FPH’s Emergency Clinic doctor Dr Wong Ju Ming was on hand to receive Natalie, doing a full check to verify her condition. Our resident ICU doctor, Dr Renjit Das ensured our Spine Surgeon was activated and ready, an ICU room was waiting and on standby were the machines and equipment that was likely to be used for such injuries. As for Natalie and Cindy who flew home to Belgium on the 14th of August, this incident has not marred their adventurous spirit or enthusiasm for travel. “Maybe just not to places that have earthquakes” they quipped. Click on the image to view the full video. Set the video quality to HD for better viewing. 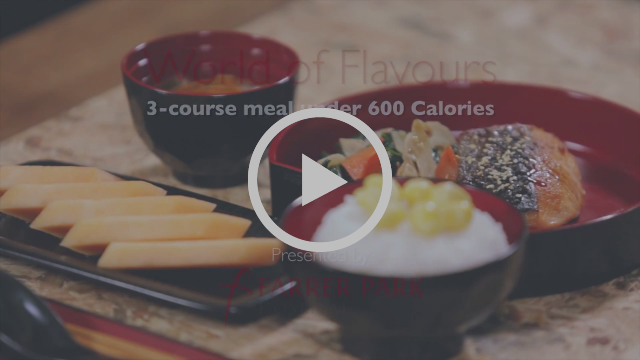 Our range of healthy recipes this month brings you a 3- course Japanese cuisine that is light in calories but filled with natural umami goodness. Definitely an "Oishii" (Delicious in Japanese) recipe not to be missed!